From protests to arguments over land-use policy, it certainly felt like the political nastiness encompassed at the national level trickled down into San Luis Obispo County. As cities grappled with what to do about marijuana, community service districts debated water policy, and the county dealt with more deaths in the jail, South County found itself once again embroiled in controversy over one of its elected officials. Here's a glimpse at what 2017 churned to the surface. On Jan. 22, 36-year-old Atascadero resident Andrew Chaylon Holland died while in custody in SLO County Jail. A TRAGIC DEATH The story of Andrew Holland, a schizophrenic inmate who died after spending nearly two days strapped to a restraint chair in the SLO County jail, triggered public concern over treatment and services for the mentally ill, both inside and outside of the jail facility. Holland, a diagnosed schizophrenic, died of a blood clot in one of his lungs after spending 46 hours strapped to a restraint chair. At the time of his death, he'd been declared incompetent to stand trial, and had been waiting 12 days for a transfer to SLO County's inpatient psychiatric unit. Holland's death, the 10th since 2012 sparked a wave of public criticism and outrage and raised concerns about the medical and mental health care for jail inmates. That concern only grew when months later in April, another inmate, Kevin Lee McLaughlin, died of a heart attack while in custody at the jail. 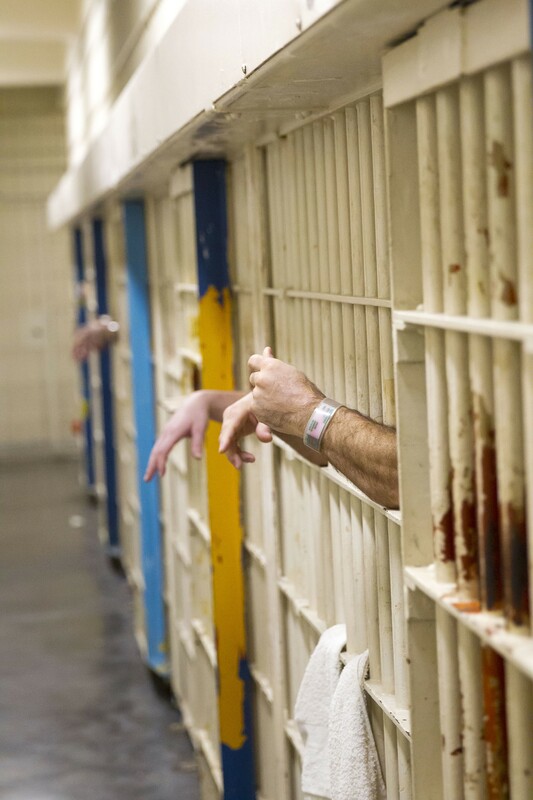 The inmate deaths were followed by an independent review by the county and a FBI civil rights investigation, both of which are currently ongoing. In August, SLO County announced a $5 million settlement with Holland's family. 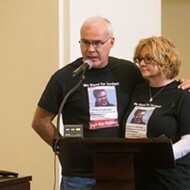 In wake of the settlement, the SLO County Sheriff's Office, the SLO County Health Agency, and the Board of Supervisors vowed to make changes to improve medical and mental health treatment in the jail, opting to participate in a national initiative aimed at increasing services and support for mentally ill individuals in order to keep them out of the criminal justice system. On Nov. 27, the Sheriff's Office announced that yet another inmate, 62-year-old Russell Alan Hammer, died of suspected embolism. With the election of Templeton-based political strategist John Peschong to the Board of Supervisors, SLO County took a turn to the "right" in 2017. CHANGING OF THE GUARD Since 1st District SLO County Supervisor John Peschong took the board chair position in 2017, he and supervisors Lynn Compton (left) and Debbie Arnold (right) have led the county in a new direction. A new board majority of supervisors Peschong (1st District), Debbie Arnold (5th District), and Lynn Compton (4th District) grabbed the governing reins and steered the county into some new policy directions. Many of their decisions weren't well received by veteran left-leaning supervisors Adam Hill (3rd District) and Bruce Gibson (2nd District)—splitting the supes along acrimonious partisan lines. Bad blood began in January after the majority appointed Peschong as board chairman over Hill. Things got testier after the majority stiff-armed Hill and Gibson from several advisory committees. Then all hell broke loose in February when the three supervisors took a stance of opposition to a National Marine Sanctuary application filed by the Northern Chumash Tribal Council. At every policy fork in the road, Peschong, Arnold, and Compton held the power. Hill and Gibson voiced their protests both on the dais and in the media, penning a combined eight newspaper editorials in 2017 (we counted). So where does the county stand after a year of the political change? Here's a rundown of the supervisors' highlights from the year. 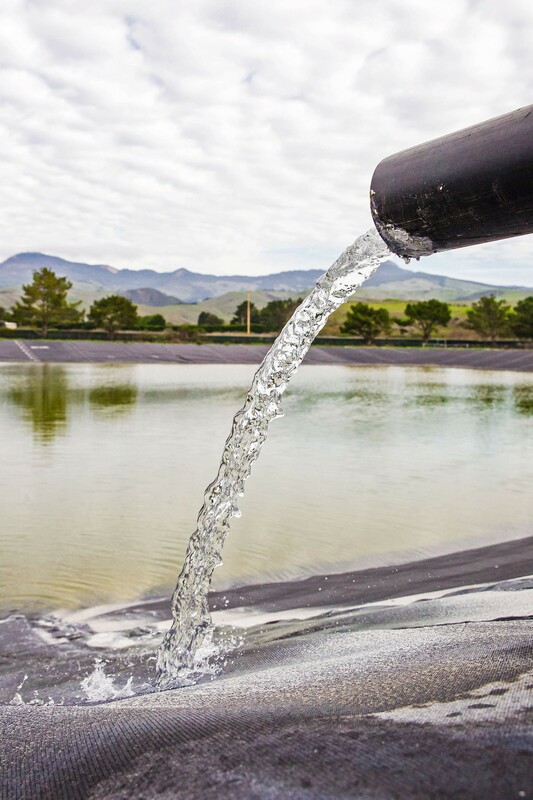 The board did the ol' "repeal and replace" on a county policy to comply with a state groundwater law, the Sustainable Groundwater Management Act (SGMA). SGMA mandates that groundwater pumpers in depleted water basins—six of which are in SLO County—form agencies and write sustainability plans. When North County residents over the Paso Robles water basin bickered their way to rejecting a new water district in 2016, their SGMA responsibilities fell to the county. The supes had planned to structure a property tax for water basin users to fund basin management, but in March, Arnold led the board to a reversal of that plan. Under her policy, the county pays all the groundwater bills with the general fund, not additional taxes. 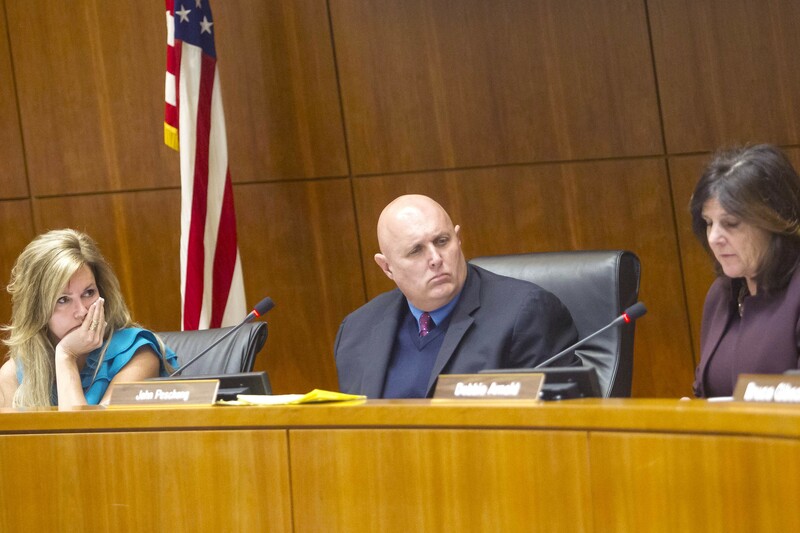 After being slapped with a Brown Act complaint for the board's initial vote and fending off allegations of collusion between the majority supervisors and a constituent of Arnold's, the supervisors redid the vote in April and finalized the changes. On the heels of the outrage over Justin Vineyards' decimation of oak woodlands in North County in 2016, the supervisors adopted oak woodland regulations in April. The ordinance requires landowners to apply for a permit to clear-cut more than 1 acre of oaks. Over the many months it took to write the policy, the scope of its protections narrowed from several native tree species to only oaks—and the rules allow for up to 1 acre of unregulated clear-cutting. Environmental advocates felt the policy had lost its teeth by the end, but property rights advocates insisted they'd still gone too far. The supervisors took the compromise, and passed it, 5-0. According to county staff, no landowners applied for an oak tree clear-cutting permit in 2017. A new $13.7 million county animal shelter project was moving forward with backing from all seven SLO cities—until lingering objections with the cost brought it all to a screeching halt. The Paso Robles and Atascadero city councils decided in October to withdraw from the shared financing agreement they'd signed in February, announcing plans to build their own shelter in North County. That put the county's project in jeopardy, and the supervisors on their heels. In an effort to save the countywide agreement, supervisors Peschong and Arnold held a meeting with Paso Robles and Atascadero mayors Steve Martin and Tom O'Malley to talk through their issues. 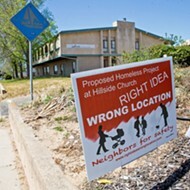 Hope isn't lost for the original shelter project—if the county can find a way to lower the cities' share of the costs. Stay tuned for 2018. The supervisors did a mix of sitting on their hands and pointing fingers when it came to tackling affordable housing policies this year. In June, during 2017-18 budget talks, supervisors Hill and Gibson proposed opening a $5 million county fund dedicated to subsidizing affordable housing projects. Peschong, Arnold, and Compton rejected the idea. Then in December, by a 3-2 vote along partisan lines, the supes declined to take action on strengthening the county's inclusionary housing program, which charges developers fees to help build affordable housing. A study of the nearly 10-year-old program recommended changes to the fee structure that were backed by the Homebuilders Association of the Central Coast and other industry stakeholders. Still, the board declined to take action. The supervisors will revisit the issue in 2018. 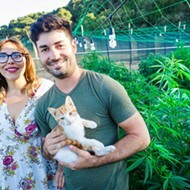 END OF PROHIBITION After the voters' passage of Proposition 64 in 2016, local agencies spent much of 2017 setting regulations for the incoming marijuana industry. Cannabis weighed on the minds of lawmakers across SLO County after Proposition 64's passage in 2016 legalized recreational use in California. State regulations take effect in 2018, and the local preparations in 2017 were about as rocky as you'd expect. 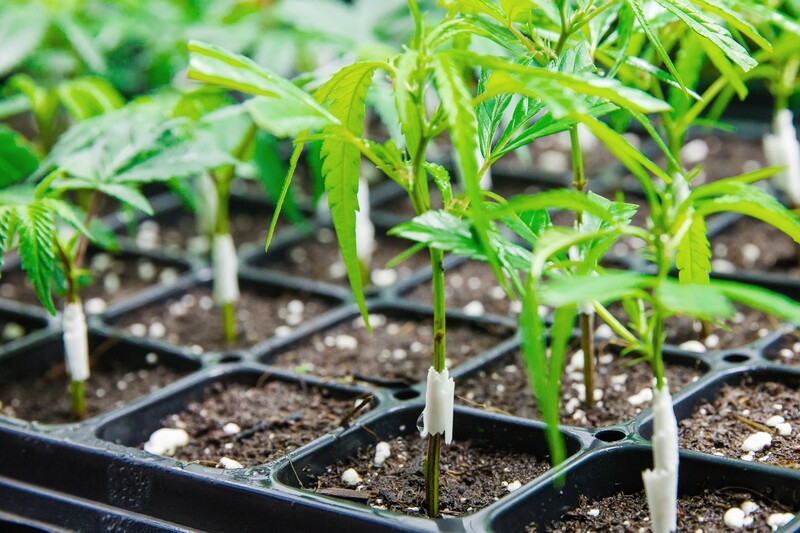 While cities like Grover Beach, Morro Bay, and SLO honed plans to permit and tax marijuana dispensaries and other related businesses, the county took a more restrictive approach. The Board of Supervisors adopted a ban on storefront dispensaries and set caps and restrictions on cultivation sites. 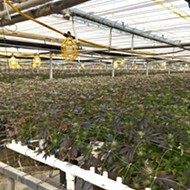 And as the county developed its cannabis rules, it also waged a legal battle against pot growers in the California Valley, taking several cultivators to court to shut down their allegedly illegal grows. One of the lawsuits targeted popular medical delivery service, Megan's Organic Market, and its Los Osos farm, which drew community criticism. Next year could be equally eventful for marijuana in SLO, as the industry comes out of prohibition and works its way through the red tape put up by local elected officials. Taxation will be a big focus, with several county and city tax measures expected to go on November ballots. HIGH STAKES SHUTDOWN With an $85 million settlement at stake, SLO County nervously awaits a state Public Utilities Commission decision on PG&E's Diablo Canyon Nuclear Power Plant decommissioning application. When PG&E announced plans to decommission Diablo Canyon Nuclear Power Plant in 2016, local agencies negotiated an $85 million settlement with PG&E to help mitigate the loss of the nuclear power plant's $1 billion annual economic impact. But a bombshell California Public Utilities Commission (CPUC) ruling in October tentatively rejected the settlement. A CPUC administrative law judge argued that statewide, ratepayers shouldn't shoulder the funds for SLO County, its cities, and schools. The judge also nixed more than half of the funding for a PG&E employee retention program aimed at keeping the plant fully staffed through its planned shutdown date, 2025. The CPUC commissioners still have to make the final call on the closure plan, and they're scheduled to do so at a Jan. 11, 2018, meeting. PEOPLE POWER 2017 was a banner year for protests and rallies, with the SLO Women's March in January drawing between 7,000 and 10,000 people. Many SLO residents took to the streets in 2017 to march, protest, and raise awareness for political and social justice causes in the wake of the November 2016 elections. The wave of activism kicked off the day after the inauguration of President Donald Trump on Jan. 21, when between 7,000 and 10,000 people braved the wind and rain to participate in a Women's March in downtown SLO. The event gave birth to the Woman's March SLO organization, which coordinated other large demonstrations and events throughout the rest of the year. 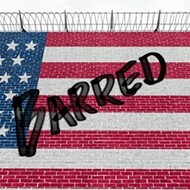 Those included a rally against the president's efforts to limit and ban immigration and travel from seven predominantly Muslim countries in February. In August, the group again rallied the community, helping to organize an anti-hate vigil in memory of Heather Heyer, a political activist who was killed while counter demonstrating against white supremacists in Charlottesville, Virginia. Nearly 1,000 people attended that rally. 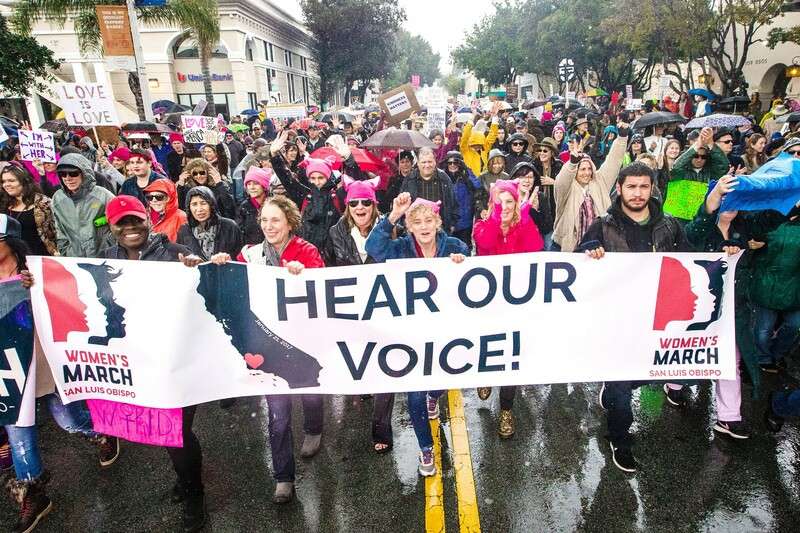 To mark the group's one-year anniversary, Women's March SLO will hold a "Hear Our Vote: Voices of the Resistance" rally Jan. 20. In addition to the events organized by Women's March SLO, local residents also held public rallies in 2017 to both protest and defend Planned Parenthood, raise awareness about the murder of transgender individuals, and to protest the Trump administration's efforts to end the Deferred Action for Childhood Arrivals (DACA) program. 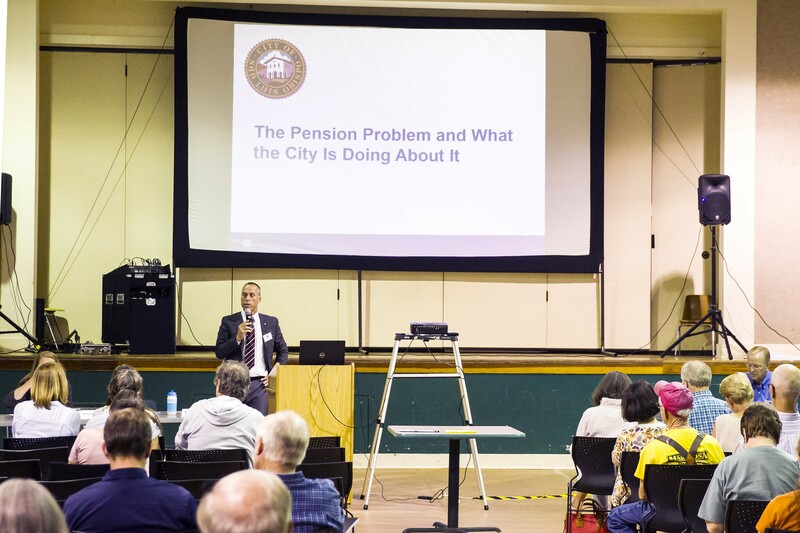 PENSION TENSION Pension debt is affecting nearly every government budget in SLO County. The devastation of California's public pension funds impacted nearly every government agency in SLO County in 2017. Combined local pension debt is roughly $1 billion, which includes the county, cities, schools, and other districts in SLO. They all faced the music this year after the California Public Employees Retirement System (CalPERS) lowered its return rates and dramatically raised members' required payments going into the future. Pension debt is impacting the city of SLO most—with liabilities around $150 million—and city coffers are nearing an $8.9 million expected deficit in 2020. SLO began tackling the issue this year by charting strategies for balancing the budget, looking at service cuts, employee concessions, and new tax proposals. Paso Robles, Atascadero, Morro Bay, and Arroyo Grande each have more than $20 million in pension liability to pay off, and the San Luis Coastal Unified School District will see its annual pension costs double by 2025. In February, the Arroyo Grande City Council voted to open an independent investigation into Mayor Jim Hill after a citizen raised allegations of misconduct at a public meeting. The South SLO County Sanitation District, where Hill serves as one of three board members, voted to join the investigation in March. The investigation examined Hill's role both as mayor and as a member of the sanitation district's board of directors. The findings, released in August, found there was sufficient evidence to show that Hill overstepped the bounds of his role as a mayor when he sent a letter to the Federal Trade Commission without consulting other members of the council. But the investigation also raised concerns that Hill's wife, Lin, may have had access to his city email account and iPad. 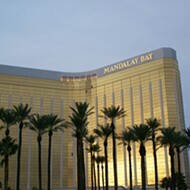 The investigation's findings also stated that Hill disclosed confidential personnel matters as well as privileged attorney-client information and documents to third parties in his role as a member of the sanitation district board, and that he overstepped the bounds of his role as a board member by interfering with the personnel matters. Hill denies any wrong doing, painting both the allegations and the report's findings as politically motivated. Still, members of the City Council voted 3-2 in September to ask Hill to step down from his seat at the sanitation district, which he refused to do. Members of the sanitation district board voted to formally censure Hill in the wake of the investigations findings. DERAILED Residents who spent years fighting a proposed rail spur extension project by Phillips 66 claimed victory after the project's denial was upheld by the SLO County Board of Supervisors. 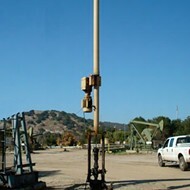 A subsequent settlement of a lawsuit between the company and SLO County was said to be the final "nail in the coffin" for the project. Local environmental groups achieved a major victory in 2017 with the defeat of oil giant Phillip's 66's proposed rail spur extension project. The project, first proposed in 2013, would have allowed the company to import crude oil by train to its Nipomo Mesa refinery. Activists opposed to the project, including members of the Mesa Refinery Watch Group, railed against the project, citing concerns over its impact on the environment and the risk of explosions from oil train derailments. In March, the SLO County Board of Supervisors voted 3-1 to uphold a 2016 decision by the SLO County Planning Commission to deny the project. 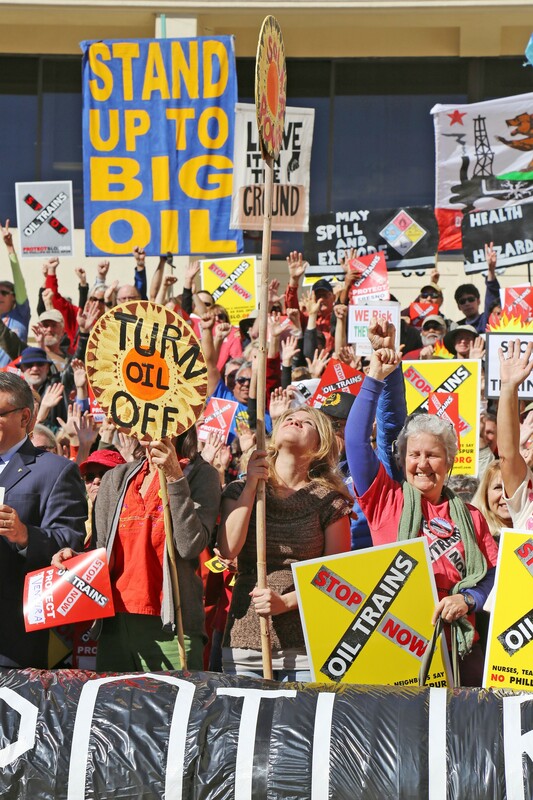 Despite that win, the battle for the rail spur continued, as Phillips 66 sought to challenge the project denial in SLO County Superior Court. But in October, the county announced that it had come to agreement with Phillips 66 to settle the case. Under the terms of the settlement, Phillips 66 agreed to let the county's denial of the project stand. However, the settlement does not bar the company from refiling land use permit applications in the future, and requires any determinations about environmentally sensitive habitat on the refinery's property to be made independently of the county's previous rail spur decisions. "I hope that this is the last nail in the coffin for the project," Laurance Shinderman, a spokesman for the Mesa Refinery Watch Group, told New Times shortly after the settlement was announced. If there's one thing that the communities on San Luis Obispo County's North Coast dealt with on repeat in 2017, it was the controversy over how to deal with waste and water. WATER RUMORS Cambria has been debating its sustainable water facility since 2014. While Cambria is still working on trying to make its already existing water facility a permanent part of its water infrastructure, Morro Bay continues to try to nail down the replacement for a wastewater treatment facility it's shared with the town of Cayucos since the 1950s. 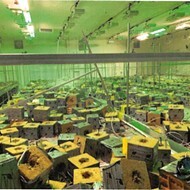 Cayucos' new facility is already under construction. Earlier this year, the Central Coast Regional Water Control Board slapped the Cambria Community Services District with violations because the district was constantly late in notifying the board about failed water quality issues at its Sustainable Water Facility. The water board also issued a cease-and-desist order against the district for a pond that deals with the waste created at the facility. The state still considers the facility, which cost $14 million and was built in 2014, to be for emergency use only—meaning it can only operate during a declared water shortage. Meanwhile, the cost to build a new treatment facility in Morro Bay has risen to between $150 million and $168 million, but the city finally settled on a 15-acre site after bickering over four different proposals and a California Coastal Commission denial of renewed plans to build on the original site (where the current shared facility is). The city is currently working on an environmental review report and will be applying for a low-interest loan through the U.S. Environmental Protection Agency. Two reporters from the controversial local website CalCoastNews found themselves in the pages of the New York Times in 2017, though probably not in the way they'd hoped. LIBEL LOSS A SLO County Jury levied $1.1 million in damages against CalCoastNews after they found website reporters and co-founder Karen Velie and Daniel Blackburn guilty of libeling an Arroyo Grande businessman in a 2012 article. The website's writers and co-founders, Karen Velie and Daniel Blackburn, were on the losing end of a libel lawsuit in March. 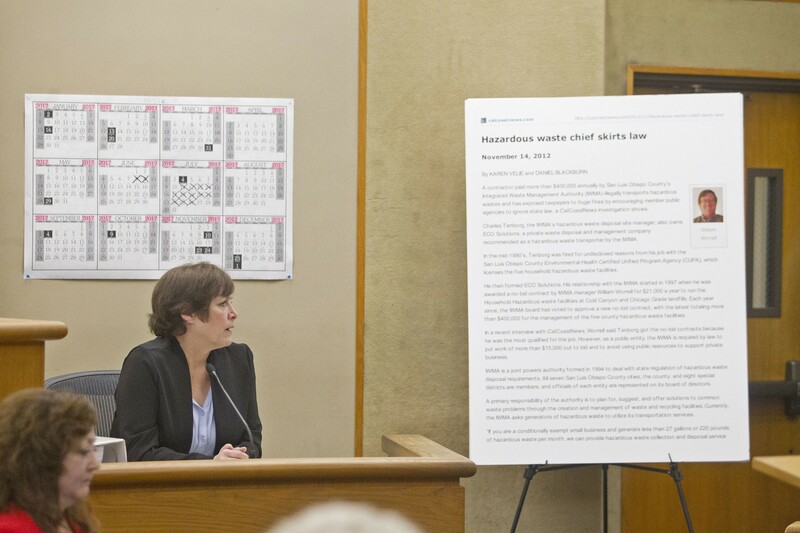 After a trial, a SLO County jury determined that the pair had written and published false and defamatory statements about local waste management businessman Charles Tenborg in a 2012 article that accused the Arroyo Grande resident of illegally activity. As a result of the guilty verdict, the jury awarded Tenborg $1.1 million in damages. 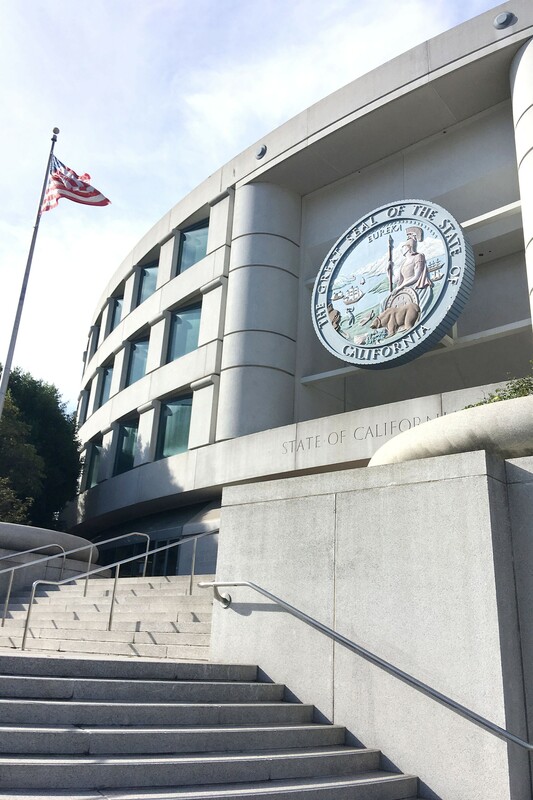 In the wake of the verdict, CalCoastNews stood by its story, stating that some of its key witnesses had died or became unavailable before the trial, and that some it its evidence was not allowed to be presented to the jury. While Tenborg attempts to collect his damages in SLO County court, CalCoastNews continues to publish articles on its website, as well as a new site called CalCoastTimes. Shortly after the verdict, the website filed an appeal in the case. According to records from the California's 2nd District Court of Appeals, the case is ongoing, but will be dismissed if attorney's for the website do not file their opening brief by Jan. 5. Defenders of public lands united in 2017 to challenge a Trump administration review of 27 national monuments larger than 100,000 acres designated since 1996. UNDER REVIEW President Donald Trump ordered Interior Secretary Ryan Zinke in April to review the statuses, boundaries, and protections of 27 national monuments—including SLO's Carrizo Plain. 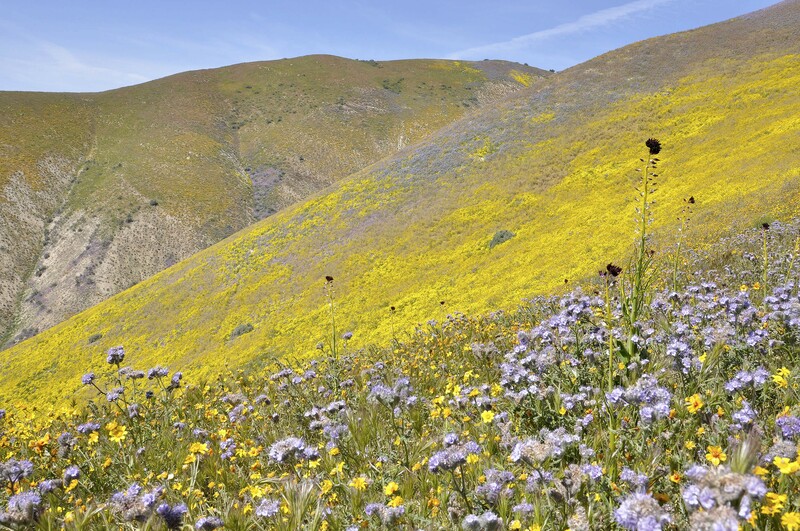 The executive order put the boundaries and protections of six California monuments on the metaphorical chopping block—including the beloved wildflower-speckled Carrizo Plain in SLO County. After a four-month review period that elicited an estimated 15,000 citizen comments (3,500 from Central Coast residents, according Los Padres ForestWatch) and a letter signed by more than 130 local businesses supporting the monument, Interior Secretary Ryan Zinke's final recommendations to President Trump suggested no changes to the Carrizo Plain National Monument.